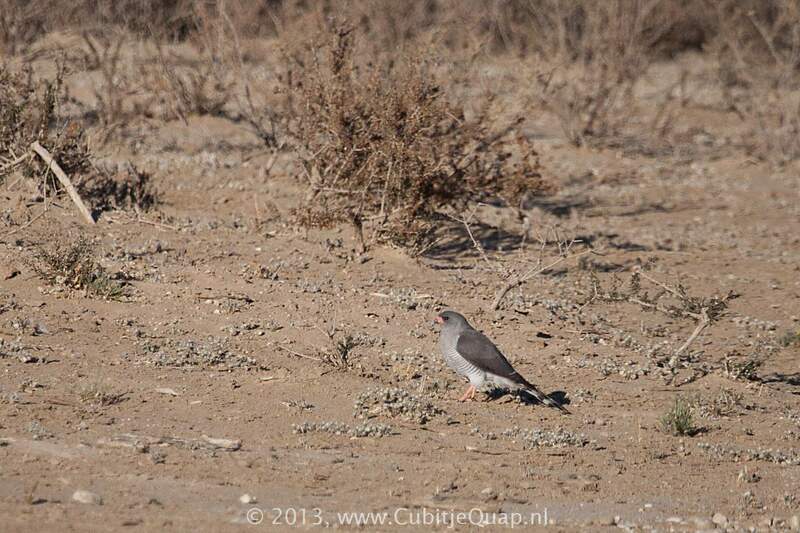 Distinguished by its grey throat and breast, and red cere and legs. 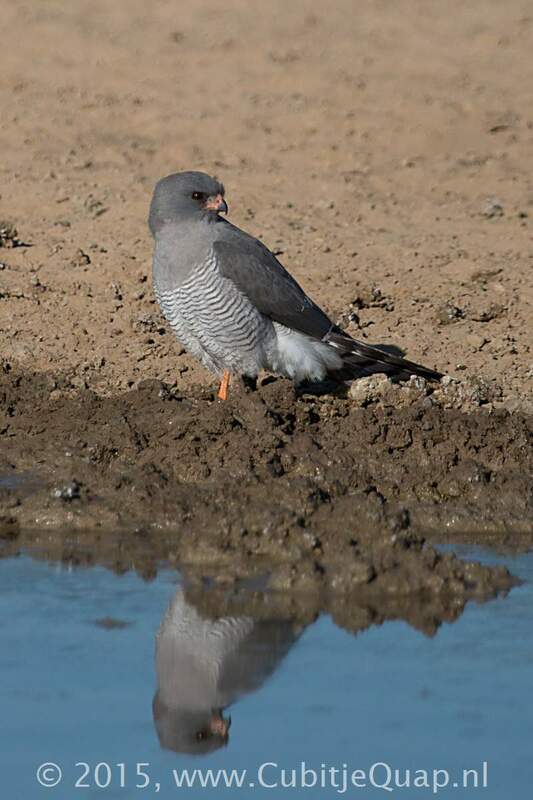 Could be confused with Lizard Buzzard, but that species has a white thoat with a central stripe and a broad, white tail band. 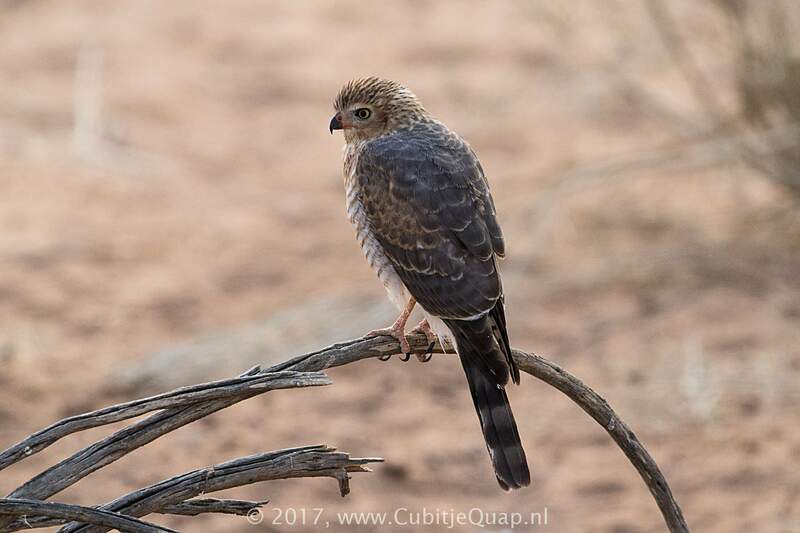 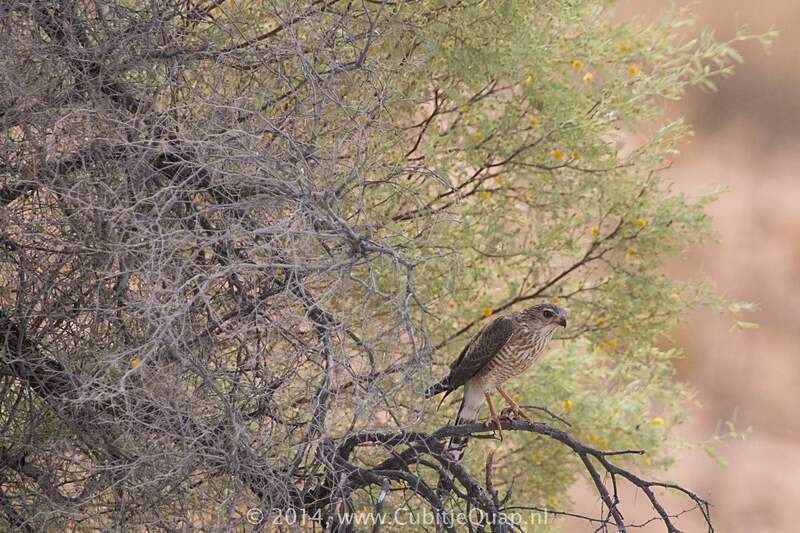 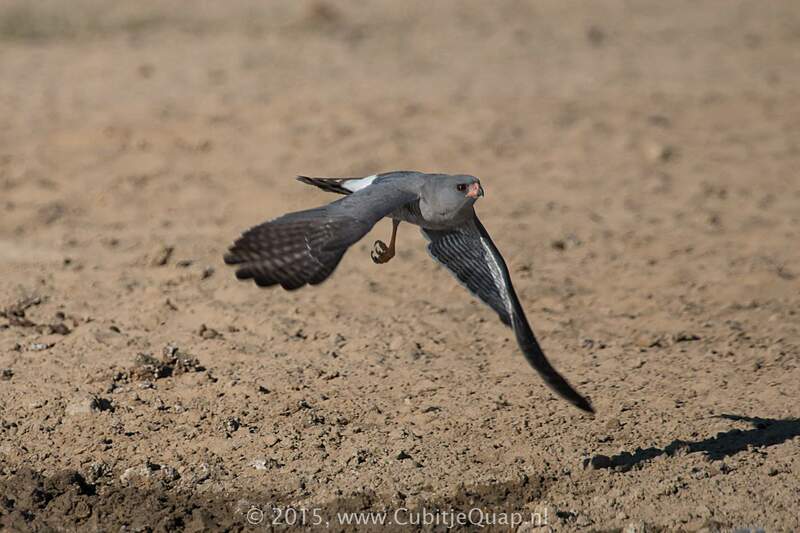 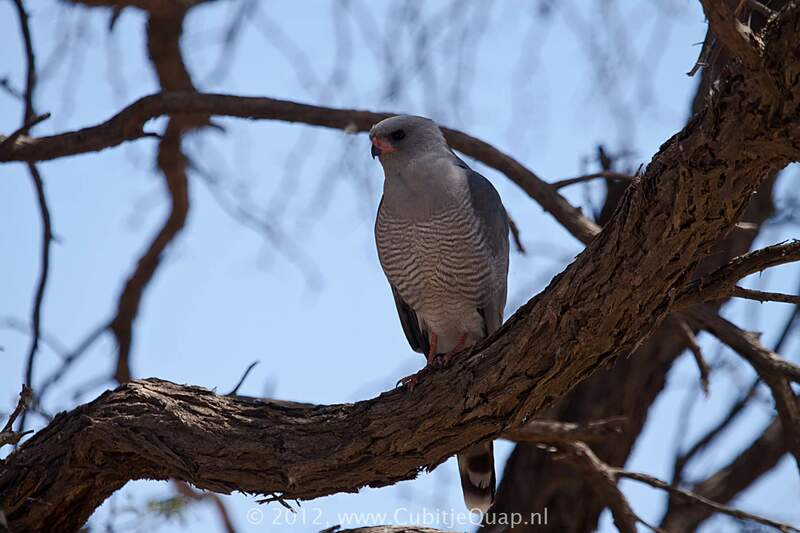 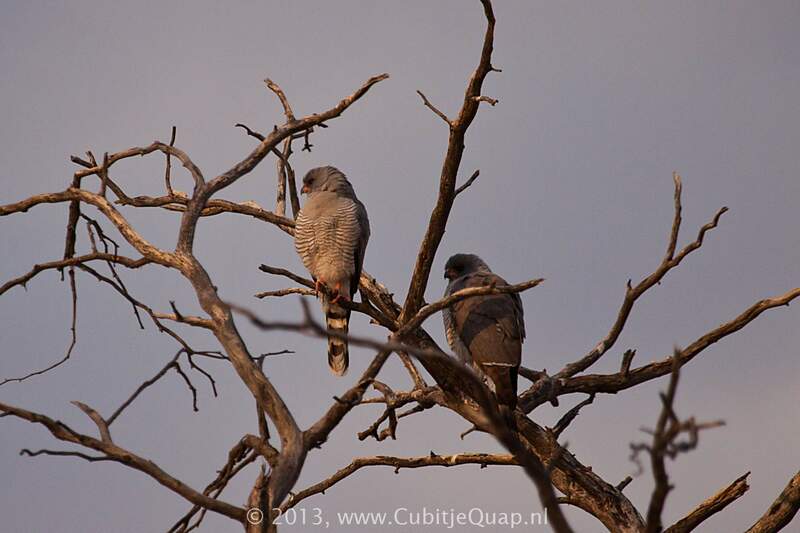 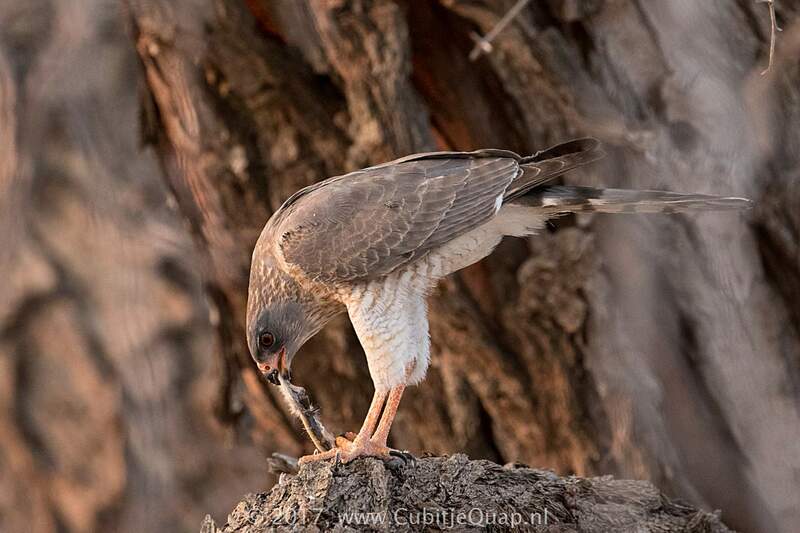 The larger Ovambo Sparrowhawk has a dark rump and barred, not uniform, grey throat and breast. 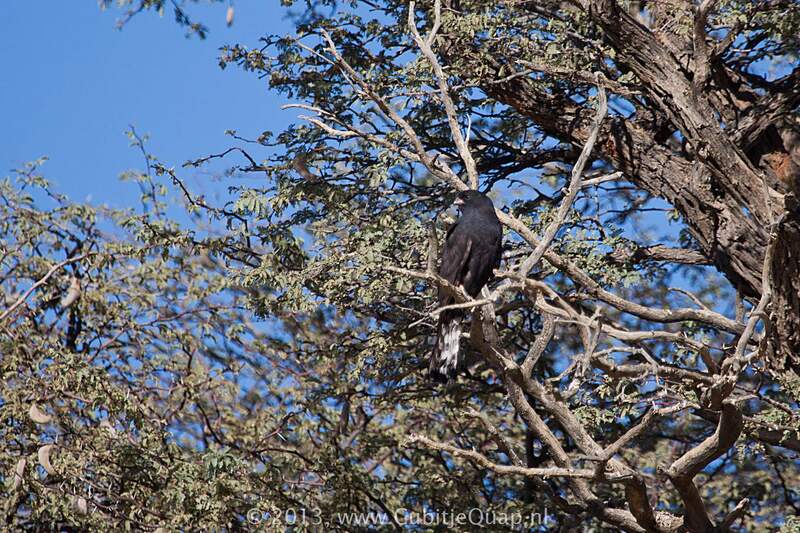 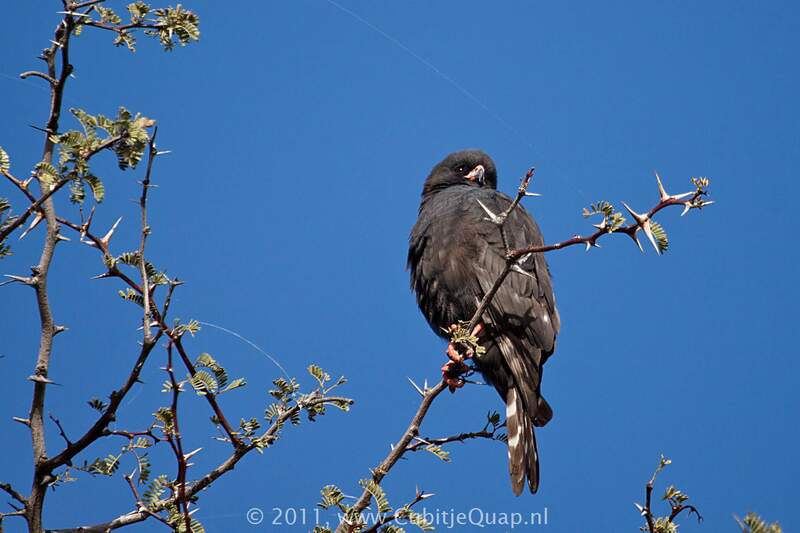 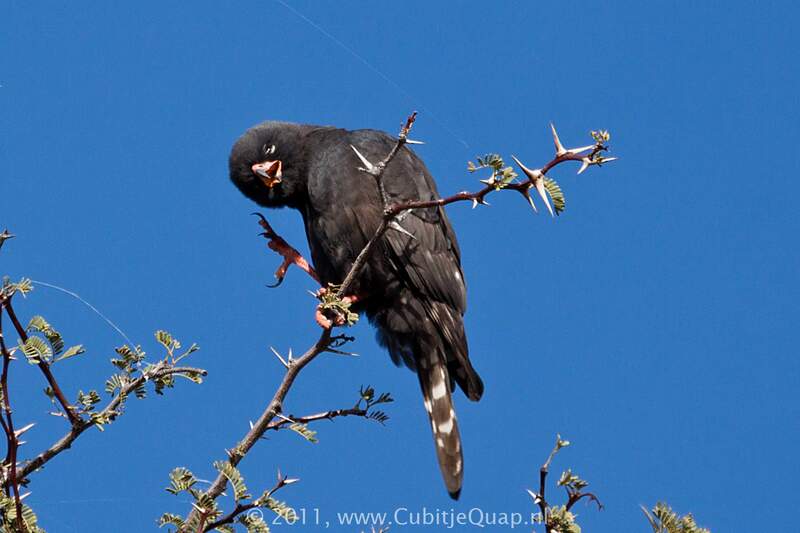 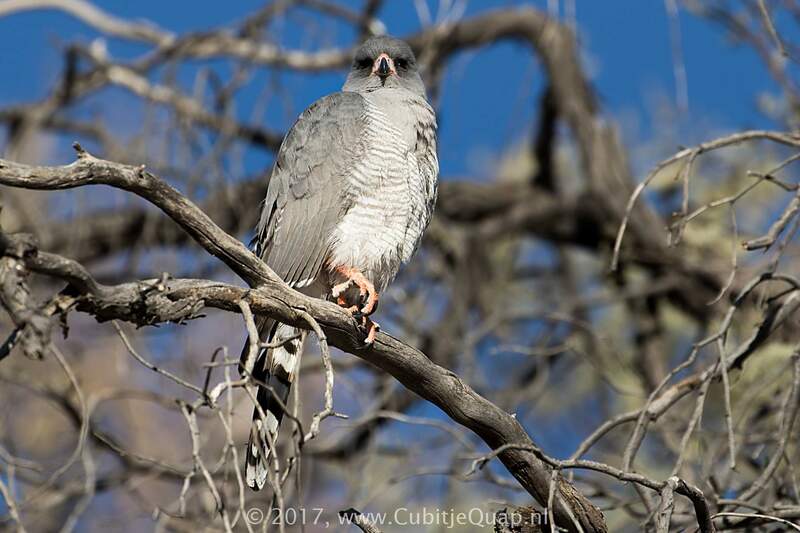 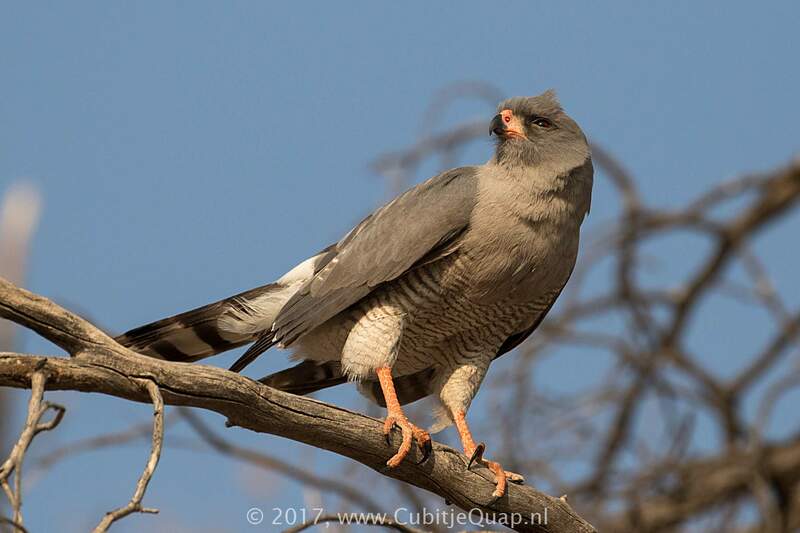 The melanistic form of Gabar Goshawk differs from the melanistic form of Ovambo Sparrowhawk in having white webbing in the retrices and black markings on the scales on the front of the legs. 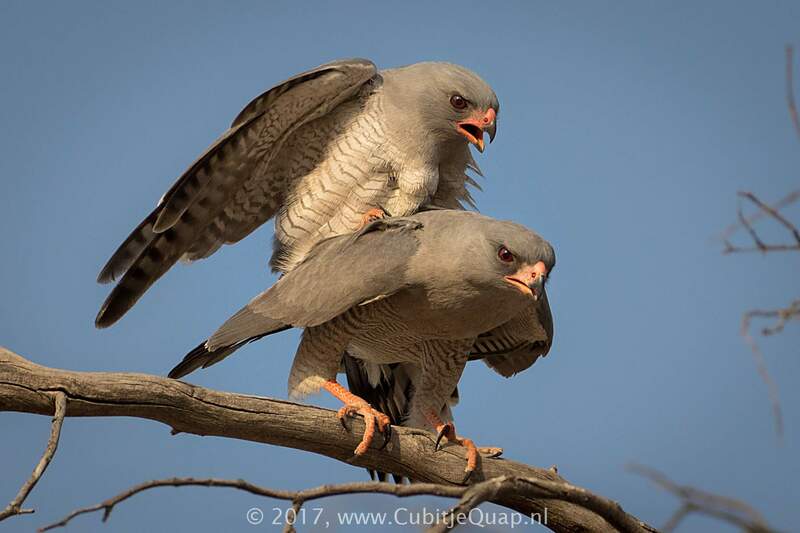 Sexes alike, but female is larger. 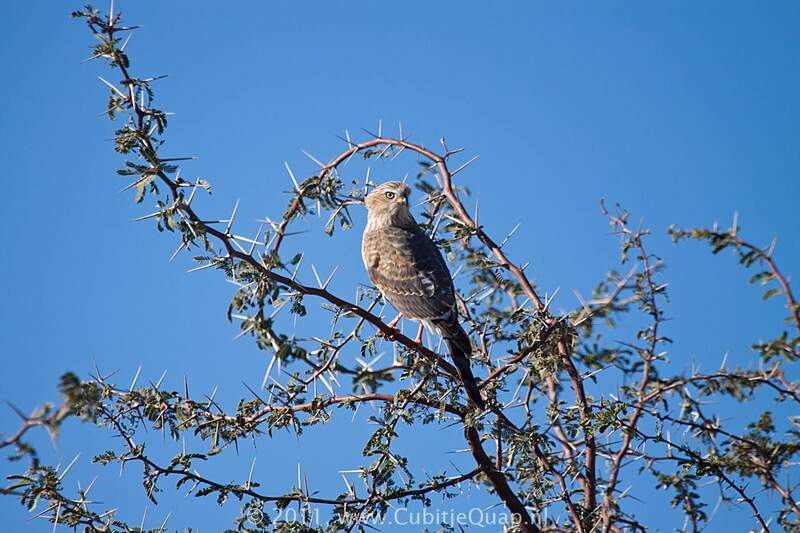 Savanna, especially thornveld and semi-arid habitats.